Organic honey bee products have lots of health benefits for diabetics. Read about honey bee products and their health benefits here. Propolis is a sticky resin collected by honey bees. They collect and metabolize the propolis and it is used to seal up all gaps in the beehive. 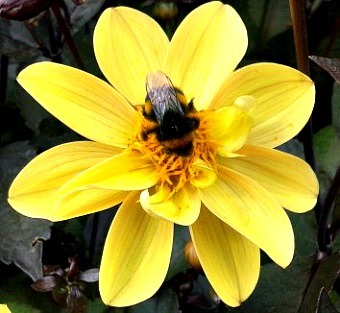 Bee propolis contains loads of vitamins, minerals, enzymes and amino acids. It is used in creams to treat eczema, cuts, psoriasis and scars. It helps the wounds heal faster avoiding infection which is a challenge that many diabetics face. Sometimes cuts and skin problems can take a long time to heal and are prone to getting infected. If taken internally, it can ward off colds and other infections by boosting your immune system. Your immune system is already compromised by having diabetes, so any boost will help. It can be used to treat a sore throat, colds, plaque and gum infections. It can increase your fertility as a side effect of your immune system being strengthened by the bee propolis. If taken with other antibiotics like penicillin, it can complement it and help you make a speedy recovery. 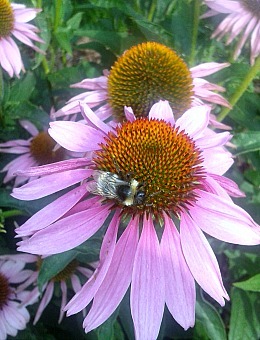 Pollen is essential for plant reproduction. Bee pollen is a source of numerous vitamins and minerals. It helps your body to get rid of toxins. It aids your digestion and metabolism. It also improves your immune and nervous system. It helps you to lose weight which is helpful to diabetics as a healthy weight is essential for good blood sugar control. Also bee pollen doesn't contain very much sugar so you don't have to harm your blood sugar levels. It helps to boost your energy which makes you want to do more exercise which is good for controlling your diabetes effectively. Royal Jelly is food for all bees in the colony. It also contains lots of vitamins, minerals and amino acids. It is known to help infertility, boosts your energy and metabolism. If you have diabetes it keeps your blood sugar at a healthy range. Organic bee products are a good source of natural products that have a positive effect on diabetes. However: Be careful taking it if you are asthmatic, allergic to bee products and honey, allergic to bee stings. pregnant or breastfeeding. Also be careful if you are allergic to black poplar, poplar buds and balsam of Peru. The best way to take it is to try it gradually. Take 1/4 of a tablet of the product to start off with and take it from there. If you don't feel any side effects, you can slowly increase the dose. So it is a good idea to try the honey bee products.